Is the Holy Spirit simply a spirit or essence of God? Or does the Holy Spirit have characteristics of a person? To be considered a person, the Holy Spirit must have 3 characteristics: 1) intelligence and moral knowledge, 2) emotion, and 3) volitional will. 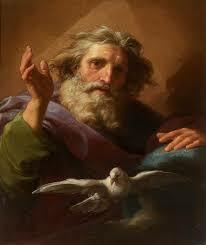 The Holy Spirit demonstrates that He has a will. Not only does the Holy Spirit exhibits the characteristics of a person, He is referred to with personal pronouns. Called a "Helper," "Counselor" or "Comforter," the Bible explicitly describes the Holy Spirit as a person who intentionally helps and comforts Believers (John 14:16, 26; 15:26; 16:7).